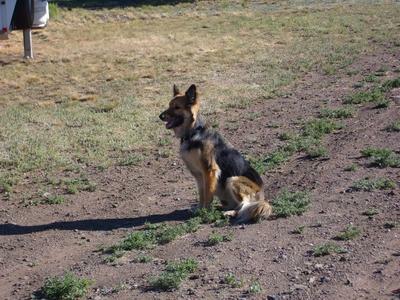 We found a beautiful German Shepherd Mix (Abby) at a local shelter... we joke about how she could be part coyote because of the way she runs, but we think she is part collie of some sort, especially after witnessing her trying to herd a group of horses! Abby is as loyal as they come, sticking by my side like she is glued on! I think she knows we rescued her! She is the reason we got another german shepherd recently! She gets along great with cats and other dogs too, we love her! Thanks so much for bringing your beautiful Abby to our attention and sharing her story with us. She is a gorgeous little girl. She looks almost a little aussie to me to - or maybe border collie too. Or maybe both! Who knows for sure! 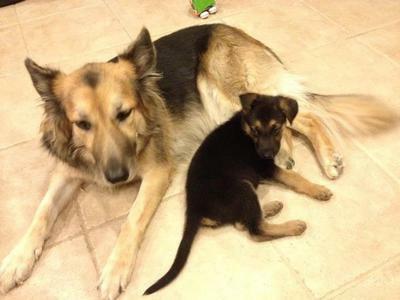 German Shepherd Mixes are just little fuzzy surprises. 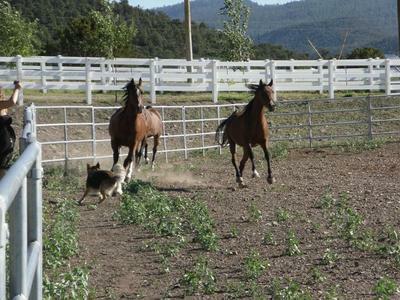 Herding is what German Shepherds and Collies were both originally bred to do so, you're right, it's just in their DNA and is so natural to them. It's good to hear that she gets along so well with other animals. I hope her and your new addition, German Shepherd puppy, Zeus, continue to do well. Hopefully he'll learn a lot of good things from her. It's amazing just how much they can pick up from each other. Continued success with them both! and if you ever have the chance to send us some more pics of them later on, please feel free to do so - we'd love to see them! 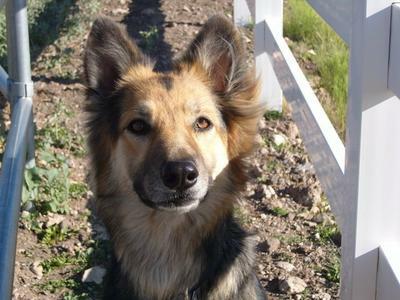 I was searching breed images to figure out what the dog I adopted might be and this photo is IDENTICAL to my Libby. If you have an email I would love to send you her picture! Your girl is Beautiful! You both are lucky to have each other and now a new puppy. Abby is a protector which she gets from the Shepherd in her and she will be protective of that little puppy too. I love the pictures especially with her and the new puppy - precious. Take care of your girl and she will take care of you.